Many people choose the destination because of its fabulous island-hopping opportunities and magnificent oceanic views. Our Croatia island-hopping cruises are a fantastic and luxurious way to explore the stunning coastline. Travellers book up to enjoy a cultural break with a difference. More and more wine connoisseurs and foodies are now recognising Croatia as the place to go to sample the distinctive wine types that are growing in popularity. If you’re a wine lover, Croatia has 64 distinct grape types, over 800 wineries and almost 20,000 registered wine-makers to tempt you to visit. 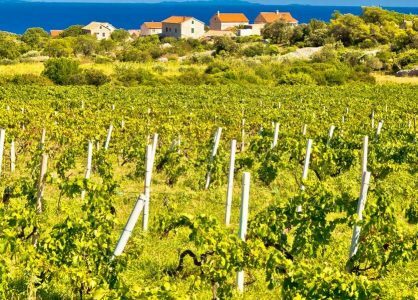 For a long time wine production in Croatia was divided into two groups – Continental wine production and Coastal wine production. More recently, the country’s wine experts, wine producers and sommeliers devised a new classification of four wine regions – Dalmatia, Uplands, Slavonia & Danube, and Istria & Kvarner. Each region is divided into twelve sub-regions. 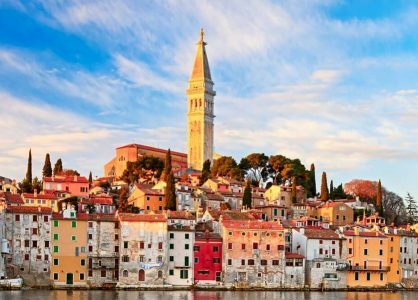 Our Croatia travel specialists can help you plan a trip of a lifetime to any of these destinations. Combine a Croatia wine-tasting holiday with a Croatia cruise, or a Croatia twin or multi-centre holiday. Babić is a full-bodied red wine that is made from the dark blue/red wine grapes that are grown in the region of Šibenik in Dalmatia. The fruity wine is characterised with a strong density and taste, and has traces of rich berries, plums, figs, and spices. Bogdanuša is a popular white wine from the island of Hvar. 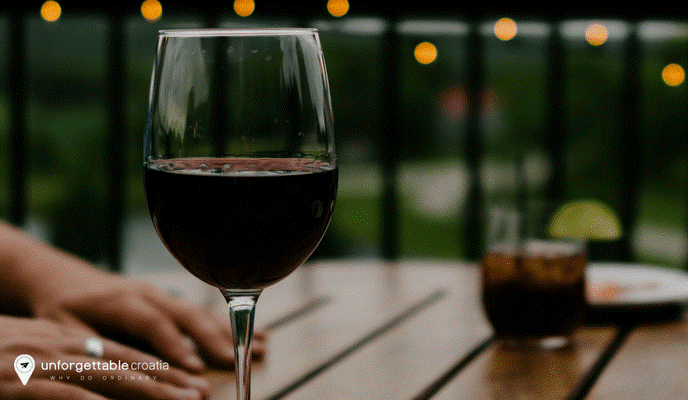 The wine boasts a pleasant floral aroma and a light, refreshing taste. The name Bogdanuša translates to “gift from God”. Debit is made from golden yellow grapes that produce a fabulous citric herbal taste with fresh tones. Produced in the central and north coast of Croatia, Debit matures and develops its taste to resemble Vermouth. It’s a popular choice to enjoy with fish specialties and seafood dishes. Dingač is a robust red wine from the Pelješac Peninsula. 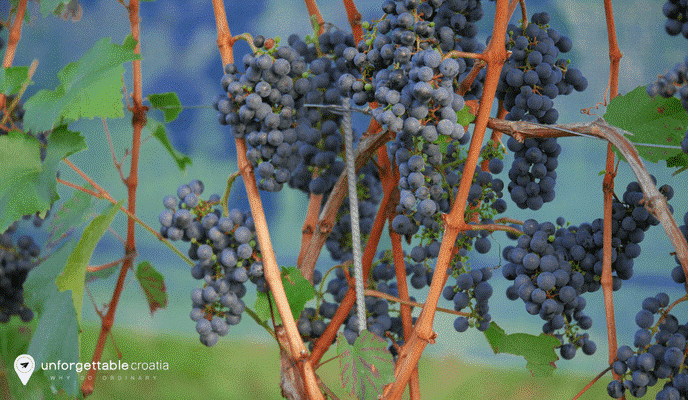 Made from the plavac mali grape variety, the flavoursome wine has an attractive dark red to purple colour. Dingač is a premium quality Croatian wine that is often reserved for special occasions. Malvazija is a dry white wine that is made from the white grapes grown in the region of Istria. Its pleasing citrus aroma and intensive flavour are suitable to pair with a wide variety of foods. The wine has traces of white pepper and dried grass. Plavac Mali is one of the most popular red wine types produced in Croatia. The grape variety that is used to make this wine is the most planted in Dalmatia and Pelješac. Plavac Mali boasts the distinct flavour of ripe cherries and has notes of spices and pepper. The wine has a high percentage of alcohol and rich tannins, and ages well. 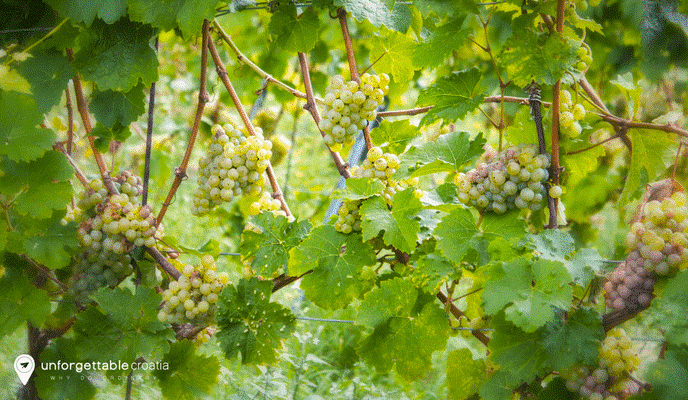 The popular white wine Pošip comes from the region of Dalmatia. 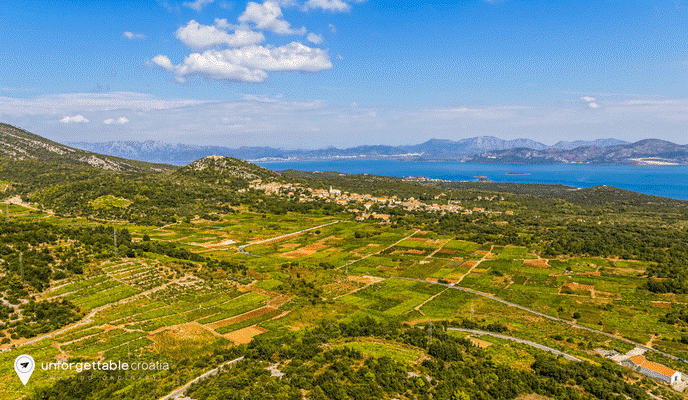 The grapes are grown on the coast and the wine is produced on the islands of Hvar and Korčula. Although Pošip has a strong aroma, the notes are surprisingly refreshing. If you are dining on fresh seafood, grilled fish and summery salads, this fruity, fragrant wine is the perfect accompaniment. Wine-tasting in Croatia is still quite an untapped area. It gives you a chance to explore off-the-beaten-track areas and discover the passion and knowledge that Croatians have for wine. Many have making wine for generations. Give us a call today for the best tips on wineries with excellent vintages and the warmest welcomes. Remember we can help you plan an unforgettable trip to Croatia. Combine a wine-tasting holiday on a multi-centre holiday or with a luxury Croatia cruise.